to this, I think it looks superb buts thats only my opinion. The final piece, new leather handbrake and gear lever gaiters arrived this morning so a bit of glueing and a bit of trimming and hey presto. and its only a 316i lux. 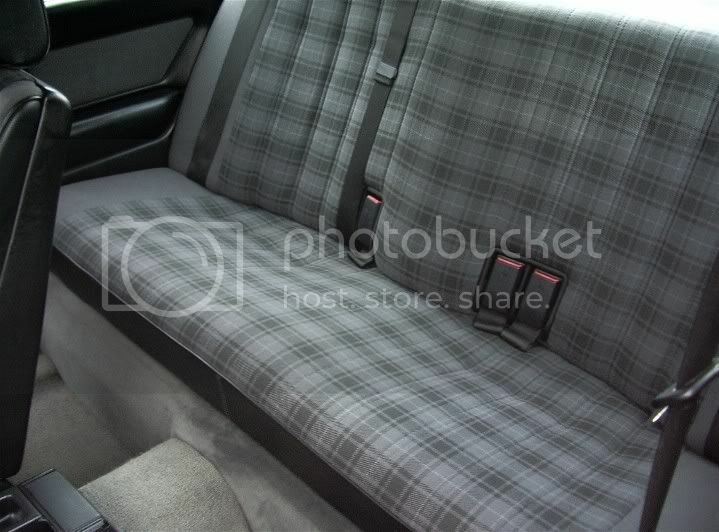 Good job, the new seats look to be in pretty good condition!! 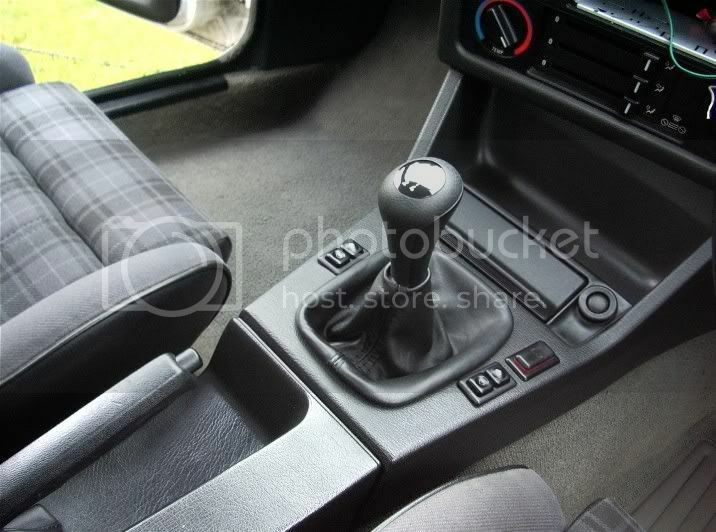 they look like the recaro style (they probably are) that the 325i Sport's used to have. Nice upgrade, decent seats make a huge difference. Whats planned for stage 2? 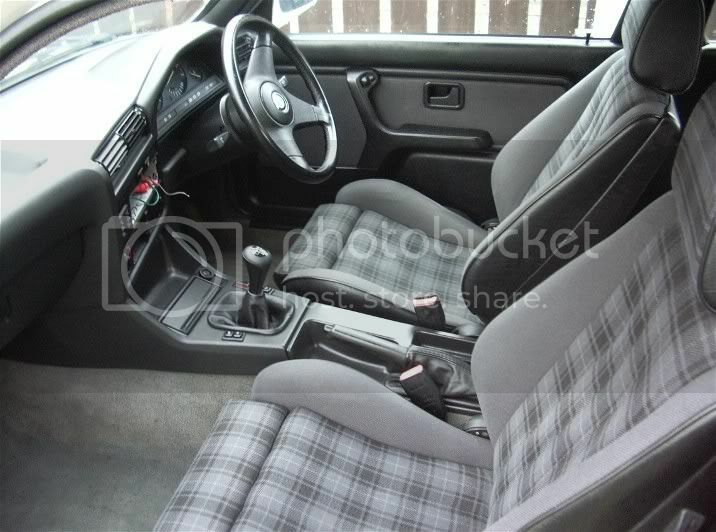 Yes the seats are the BMW Recaro style and are almost as new. 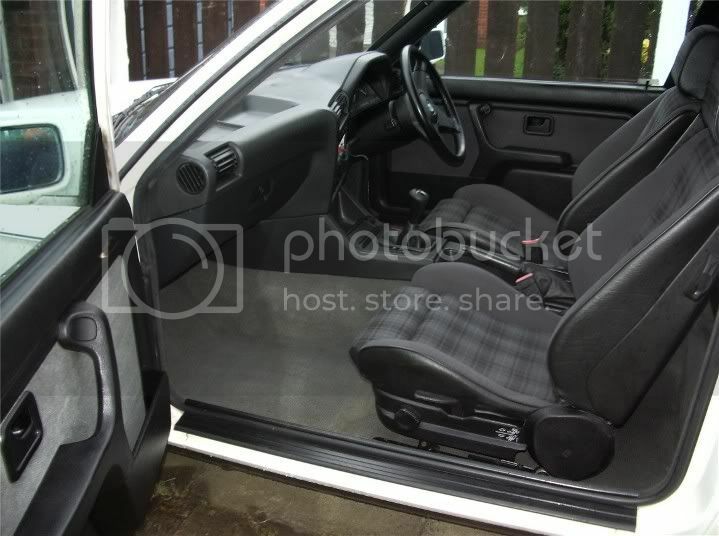 Just about everything on the inside has been replaced, carpet,rear parcel shelf, all four door cards,glove box, centre console (both bits), Knee panel under the steering wheel,gear knob, both gaiters and of course the seats. I have spent quite a bit of time sourcing them all. Originally it was all blue which I was not to keen on. I think the black and grey look is much better. Stage Two is the cleaning of all the paint work, outside trim and the engine bay. All pretty mucky but sound. Just hard graft. Then Stage Three will be the mechanicals. Full replacement cam kit, clutch,full service, replace a few small items like heat shield,HT leads,battery and any bushes that that are gone. Finally have the BBS alloys refurbed, new tyres all round, MOT,tax , insurance and then enjoy it. Should be good enough to put in a few shows hopefully. Finally have the BBS alloys refurbed, new tyres all round, MOT,tax , insurance and then enjoy it. Oh yes, occasionally I may venture forth in it. Cool. Looks soooo much better. 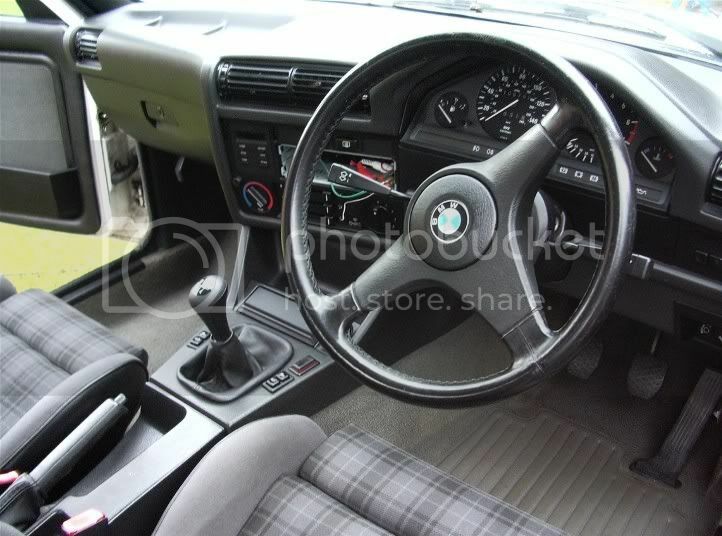 Steve the interior look fab almost showroom condition. Nice one Steve, looking good mate! Very nice and good work. 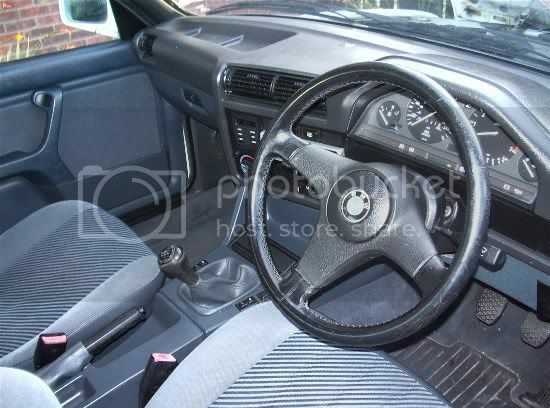 the body must be in good condition to put that much effort on the interior? Previous: 9xE34s, 5xE30s, 2xE39s, 1xE32, 1xE36.... phew! Cheers F'man. Its pretty good , no rust issues just mucky but there is a very discoloured panel which will need a respray, the front spoiler is quite badly marked and the black around the bottom needs repainting.Other than that plenty of cleaning and polishing.